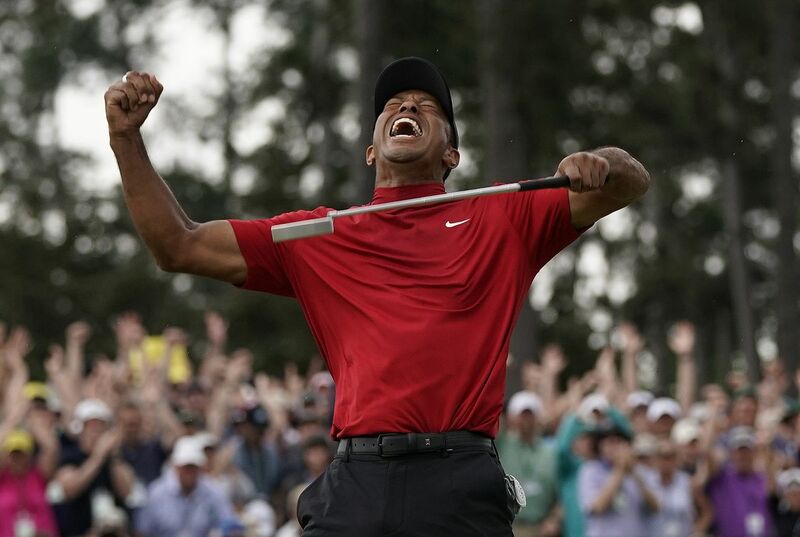 Woods' victory Sunday at the Masters completed the most stunning sports comeback in recent history, testified to the durability of genius and, perhaps most fundamentally, endorsed the possibilities of modern back surgery. Woods could not have added an indelible capstone to his singular, tormented, celebrated career had his career not first been saved. The moment that made Sunday's victory possible occurred two years ago, almost to the day, at the Texas Back Institute. Richard Guyer performed anterior lumbar interbody fusion surgery on Woods, fusing together his L5 and S1 vertebrae, most likely with titanium or high-grade medical plastic, injected with synthetic protein or bone cells. The procedure, also called ALIF, relieved debilitating pain from a degenerative disk in his lower spine. Whether a patient is a weekend hacker or one of the greatest golfers of all time, ALIF is a last resort. "For lack of a better term, it's a bailout procedure," said Stephen Banco, an orthopedic spinal surgeon at the Keystone Spine and Pain Management Center in Wyomissing, Pennsylvania. It has been used for more than 50 years and is considered routine. Its rate of success has risen so high that it is used as the control for other experimental procedures to be measured against. But success typically means a patient recovers to the point of happiness, not athletic greatness. 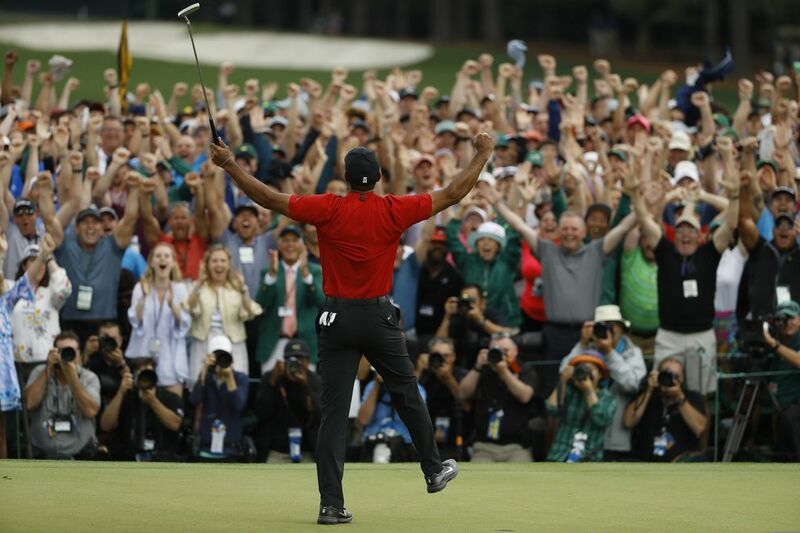 In the wake of Woods' Masters victory, experts expressed shock at the extent of his recovery. "It's almost miraculous," said Jack Zigler, president of the International Society for the Advancement of Spinal Surgery. "On the one hand, you have somebody who's in great physical condition and extremely well motivated - it's the ideal patient. But on the other hand, he's going back to an unbelievable level of function. The likelihood you could ever get back there is small." Hsu has seen players return to the NBA, NHL and NFL with few problems. He used PGA Tour pro Dudley Hart as a case study for golf. When Hart returned from spinal fusion surgery last decade, he could play well for two rounds, Hsu said, but pain and soreness prevented him from stringing four rounds together at his previous level. From that example, Hsu came to believe the demands of playing golf after fusion surgery, owing to the rotational force of the swing, were greater than any other sport. "It's nothing short of amazing," Hsu said of Woods' triumph. "I never thought having a lumbar fusion would be compatible with return to play in golf, and I'm just talking about returning to play at a high level, not winning the Masters by any stretch of the imagination. When he had his surgery done, I had a lot of questions about what his prognosis was. I was probably giving as bleak of a prognosis as anyone could, just to get back to the sport." Banco said he would have told Woods to expect to be relieved of pain, and to get back to a normal life, but a normal life without, say, winning the Masters. "I get people back to golfing, but these are amateur golfers that want to play once or twice a weekend," Banco said. "This is a guy competing at the highest [level] four days in a row. It is remarkable that he did it. That's all I can say: It's absolutely remarkable. I would have never given him a chance." Woods came back from a number of personal and physical travails: the public exposure, and attendant humiliation, of rampant extramarital affairs; a reported obsession with Navy SEAL training that diminished him physically, torn ligaments in his knee, prescription drug addiction treatment spurred by a DUI arrest; the toll age extracts from any great athlete. For all Woods confronted, it was his fourth back surgery that unlocked the possibilities on display at Augusta National. At one point before he turned 40, he once recalled in a Time interview, Woods collapsed outside his home and had to wait until his daughter found him lying there. "Sam, thank goodness you're here," he told her. "Can you go tell the guys inside to try and get the cart out?" On Sunday, at 43, Woods beat the world's best golfers and hoisted his son behind the 18th green in celebration. "All of a sudden," Woods said Sunday, "I could actually swing a golf club again." The spine can be envisioned as a tower of building blocks with cushions in between. The blocks are vertebrae, and the cushions are disks. Trouble comes when a disk tears or breaks internally. A tear can cause a piece of the disk to push against a nerve, which leads to sciatic pain firing into a leg. An internal break means a shock absorber has broken, and mechanical back pain strikes. Woods had a disk problem. Most likely, he had a disk both torn and broken inside. In 2015, Woods underwent three operations, the first two of which were discectomies - shaving down a disk to prevent it from bulging against a nerve. Those surgeries provided only temporary relief. The shaving of the disk eventually left him bereft of shock absorption. The torque applied by a golf swing would have magnified the intense pain he felt. Why try multiple discectomies if ALIF is what saved Woods' career? Those initial operations, experts said, were not mistakes. ALIF is considered a more drastic measure, with less chance of allowing a top-level golfer to return to his best form. "Any time you deal with a golfer, especially a professional golfer, lumbar fusion is the absolute last treatment option you're willing to consider," Hsu said. "We really don't have a mode of success for these kind of procedures. That's why surgeons were choosing to be as conservative as possible for as long as possible." The disk afflicting Woods was the cushion between the lowest lumbar vertebra (L5) and the highest vertebra in the sacrum (S1). The sacrum is a large, triangular bone that anchors the spine at the back of the pelvis. If Woods had any good fortune, it's that of any disk to derail his career, it was the one between the L5 and S1. At that level, the pelvis still provides protection, and the location takes less torque than higher levels of the spine. The surgery can be described through each letter of the acronym. Lumbar: The surgeon operates on the lower spine, as opposed to the upper (cervical) portion of the spine. Interbody: Between bones - in this case, the two vertebrae. Fusion: Guyer would have effectively turned two bones into one, in the process removing the disk causing so much pain. First, the surgeon removes the problematic disk. Next comes the fusion. When a surgeon fuses bones together, the goal is to trick them. The body's natural mechanism to heal bones is also the best method. A surgeon will clean the ends of the vertebrae to create bleeding, which prompts the body's natural reaction. The vertebrae are grafted together with a substance from outside the body. In the early days, a surgeon would have used a piece of bone taken from the patient's pelvis for the graft. It worked great but also meant a longer recovery - sometimes a weeks-long hospital stay. Doctors transitioned to bones from cadavers, which are still used, but rarely so. Typically, the bones are fused with titanium or high-grade medical plastic, often with two screws on the S1 side and one screw on the L5 side. The hardware itself will not sustain the fusion. The material will be filled with something to promote bone growth - pieces of bone from a cadaver, bone cells or synthetic protein. Essentially, Zigler said, the surgeon is creating "living rebar." Raymond Hah, assistant professor of clinical orthopedic surgery at USC's Keck School of Medicine, is a spinal surgeon and a recreational golfer. He finds Woods' performance inspiring for both reasons. He could see Woods adjust his swing after surgery, less fluid at first, "trying to accommodate his new anatomy," Hah said. More than his physical recovery, Hah marveled at Woods' resolve. "It actually is kind of mind-blowing to see him come back from that really so quickly," Hah said. "I don't know if there's a great medical perspective on it, other than it's a pure testament to his ability and his mental toughness." Moving forward, Woods will require maintenance and, more importantly, discipline to avoid a heavy schedule. Woods has said he will play fewer tournaments this season, and surgeons agreed that is wise. The surgery places Woods at risk in the future. Data suggest people who have undergone fusion surgery will see the level above their fused vertebrae - in Woods' case, the L4-L5 - wear down quicker than the natural aging process. "You look at his swing speeds, [and] you got to worry about the longevity of the next level of his spine," Hah said. "As I look at it, I would say there is some concern there." Banco said the risk of increased degeneration is about 30 percent to 40 percent for an average person, but for a professional golfer placing excess torque on his lower spine, he believes the risk is higher. "I wouldn't underestimate him," Blanco said. "We have no data to support that, because he's so far outside the standard deviation." The dramatic success Woods experienced may convince other sufferers of back pain to consider surgery. Zigler cautioned against that impulse. He said 95 percent of people do not need back surgery, and the other 5 percent need to go through structured, more conservative care first. "I would tell the average golfer, do not extrapolate this to your situation," Banco said. "I would say 99.9 percent of people need a little bit of physical therapy because they're out of shape." Still, Woods provides a success story. "This is something nice for us to point to," Hah said. "People can really have a high level of function and have a quality of life. Sometimes the perception is not that." Woods' victory was inspiring in many ways. For those who have suffered debilitating back pain, it offered a unique kind of hope.